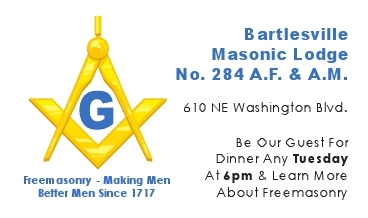 Bartlesville Masonic Lodge No. 284 A.F. & A.M. Copyright © 2015 Bartlesville Lodge of A.F. & A.M. #284 All rights reserved.